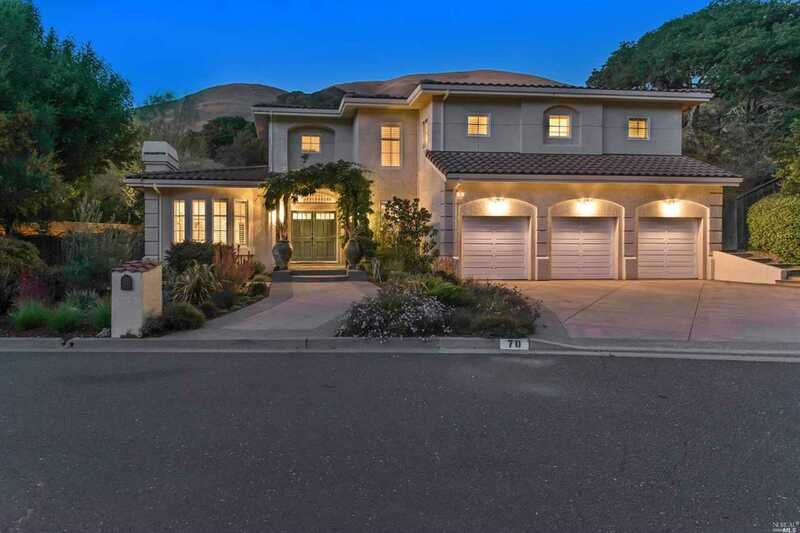 Magnificent 5 bedroom, 3.5 bath custom home in coveted Lucas Valley Estates! Masterfully remodeled throughout with every room exuding fine designer finishes. Impressive outdoor space features saltwater pool surrounded by lavish patios, spa, three decks, level grass area, fountains, built in pizza oven & magic chef's grill. Basque in the tranquility of this private, sylan setting set among a backdrop of verdant hillsides. Dixie School District! Lot Size: 0.76 Acres / 33293 Sq. Ft. Directions:101 to Lucas Valley, Right on Bridgegate, Right on Creekside. SchoolsClick map icons below to view information for schools near 70 Creekside Drive San Rafael, CA 94903. Listing provided courtesy of Julienne Courtney, Berkshire Hathaway HomeServ.